CTV > News > Services > Acquired, Information Technology > DolphinSearch, Inc.
DolphinSearch’s proprietary search technologies securely, accurately, and efficiently deliver “concept-searchable” data to Legal and Audit professions as well as major enterprises. Its core search technology is the result of fifteen years of advanced research into the extraordinary precision with which dolphins locate and recognize objects. From this patented technology, the DolphinSearch system was developed as a collaborative effort between legal, audit, and compliance professionals and technical experts. 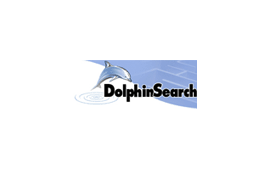 DolphinSearch was acquired by Daticon, LLC, a Xiotech Company.